Desktop vs mobile device usage tipped in favor of mobile a couple years ago. And mobile device users overwhelmingly prefer working in apps rather than browsers. Last year, users spent nearly 90 percent of their time on apps when using software on their mobile device. Both of these shifts were predicted but they happened sooner than many expected. Software providers have been scrambling to create mobile versions of their products. Companies behind the curve are losing customers to competitors with a better mobile experience. Business owners have two sets of customers: those who purchase their products and the employees who serve them. Forward-thinking businesses use Human Resources software designed with a mobile-first approach. They understand that meeting their employees’ expectations is just as important as meeting their customers’. Just because an app can be used on a mobile device doesn’t mean it was created using a mobile first mindset. Apps adapted from desktop software are usually inadequate. Scratch that. Always inadequate. The mobile first concept is far broader than simply whether a page scales correctly on a wireless device. Mobile first software is designed for the connected lifestyle. It reflects the way employees use technology for work and personal activities. Plus—and this is key—the activities that fall somewhere in between. For example, suppose an employee needs to check whether a doctor accepts their employer health insurance. The online benefits portal requires them to enter their name, medical ID, and birthdate. “What? I have to use the keyboard?” They get frustrated before they even access the provider directory. If the app has a Facebook login and well-designed toolbar, they can access the directory with two thumb clicks. Bettermobile-firstf it has voice command? This would allow them to access the provider directory while their phone is on the kitchen counter. (That way, they can eat breakfast at the same time.) What if the voice command feature has artificial intelligence? The employee could say, “Does Dr. Sara Clark in Springfield take my insurance.” The app would know what this means and respond appropriately. This is just one example of how workforce apps with advanced mobile capabilities help people be more effective. Smart business owners are taking proactive steps to increase employee engagement. Are your digital workforce tools as advanced as those your employees use in their personal lives? If they are clunky by comparison, you have a great opportunity. 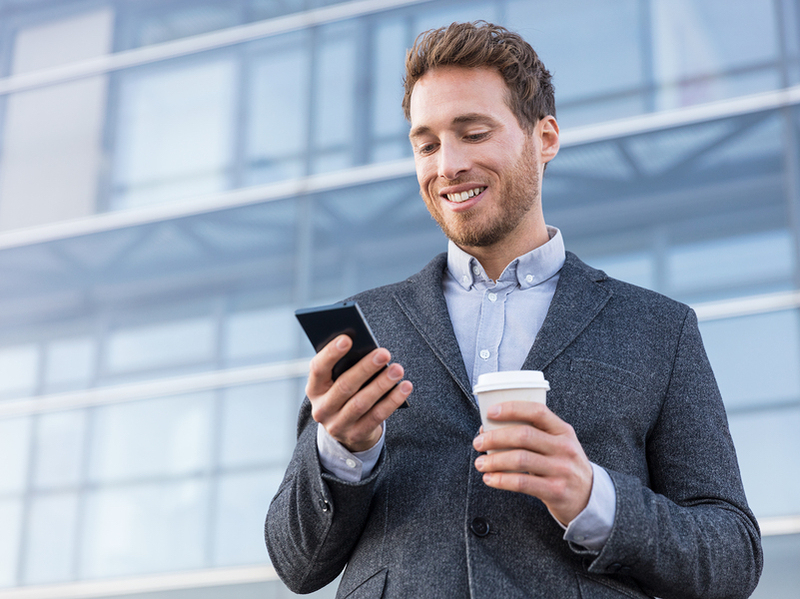 You can improve engagement with mobile first workforce apps. There are hundreds of workforce management apps. Here are just a few examples of how specific HR functions can benefit from mobile first design. An online clock in/out is a given. The addition of GPS provides geofencing, location-specific clock in, and mileage tracking. Mobile workers are reluctant to use timekeeping software without good mobile functionality. Last year, only 10% of Fortune 500 companies had software optimized so job seekers could apply with a mobile device. Employers who want a hiring advantage should jump on this one. If you are trying to attract millennials and younger generations, it’s a no-brainer. Branded apps for onboarding and training set your company apart. Employees are comfortable with them and start identifying with the company brand as soon as they start onboarding. Administrators appreciate the completion tracking and signature confirmation. Supervisors use the analytics for real-time oversight of training progress. Apps that measure productivity can change the very nature of the work performed. When employees get real-time feedback on productivity, they are consistently more effective. How Are Engaged Employees Different? Engagement is a broad term that incorporates many elements. Engaged employees enjoy their job, but it goes beyond that. They are proactively committed to the company’s mission and success. They take initiative. They believe they are treated well by their supervisors and business owners. They make choices that benefit the organization, even when they don’t have to. How Does Increased Engagement Drive Business Success? Why is employee engagement such a hot topic? Employers are realizing that engagement isn’t a luxury. In competitive markets, the company with the highest level of engagement has a significant advantage. Engaged employees care about their performance. They are eager to improve their skills. They don’t watch the clock, eager for the day to end. They try to do as much as possible during their workday. And they are committed to doing it well. In some companies, twenty percent of the employees accomplish ninety percent of the work. This core group drives the success of the business. These employees aren’t necessarily more experienced or skilled. But you can bet that they are more engaged. Engaged employees have better attendance. On average, they miss six fewer days per year. They take vacations to recharge their battery and return ready to dive back in. Reduced absenteeism benefits everyone on the team, even the employees who are not as enthusiastic. Engaged employees have a 40% lower risk of turnover. Consider the cost of high attrition. Increased engagement translates directly to lower recruitment, training, and administrative costs. Engaged employees drive innovation regardless of their job role. Those who are hired to innovate are usually engaged by nature. (They are also the types most likely to expect advanced HR apps.) But any employee can figure out better ways to do things. Companies who don’t innovate will be overtaken by those who do. SwipeClock is a leading innovator in small business workforce management. For more information on our mobile HR products, see SwipeClock TimeWorks Mobile.